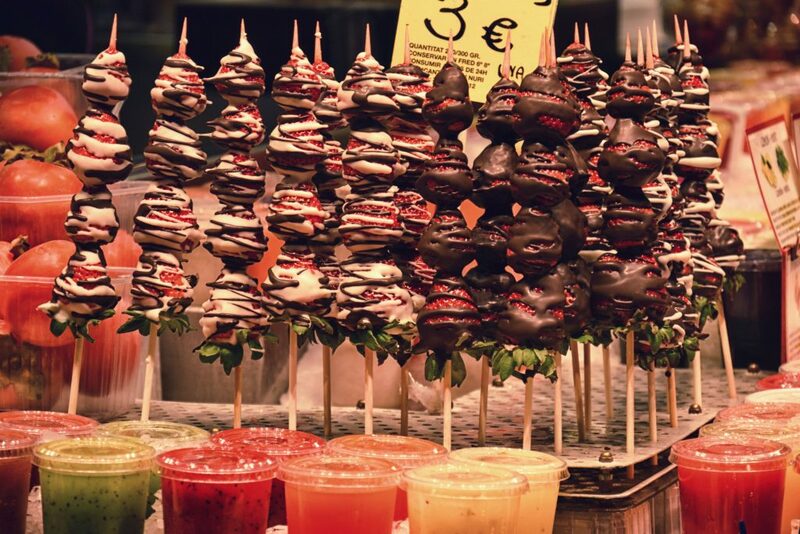 Our love for food and markets is unconditional and well known. 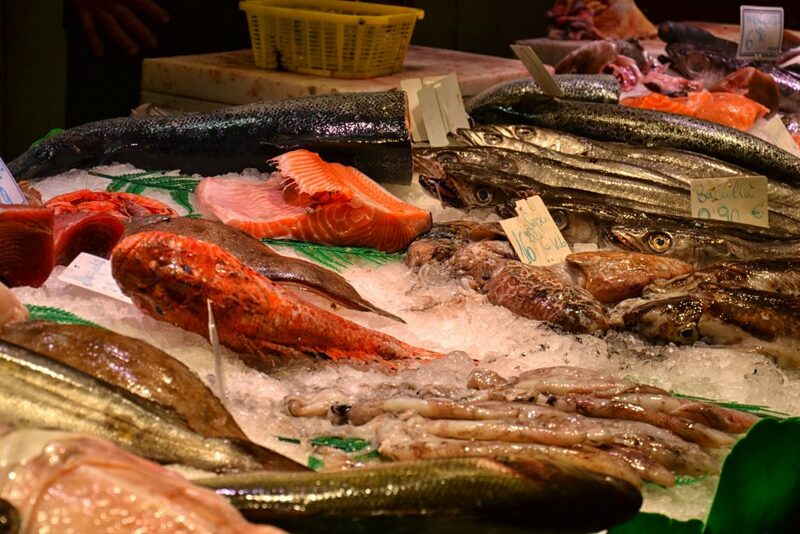 One should not be surprised during every trip there is market on radar and it wasn’t different in Barcelona. 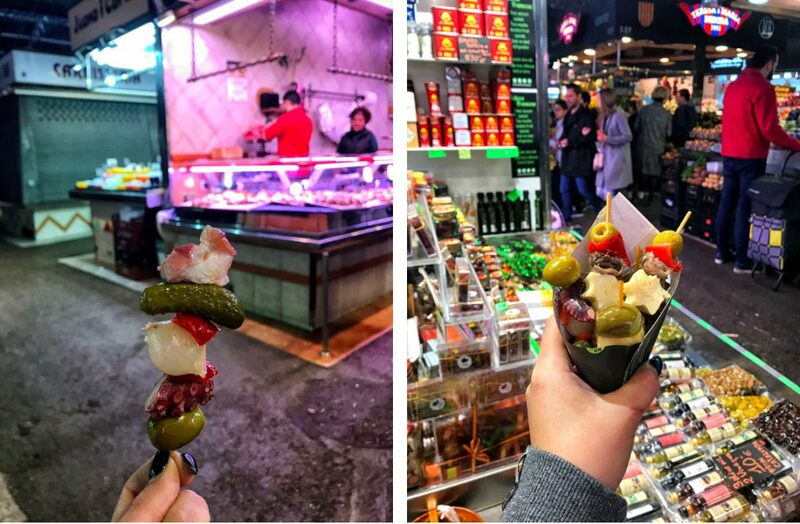 There are many markets in Barcelona but due to time pressure we went straight to La Boqueria – probably best known food market in Europe. 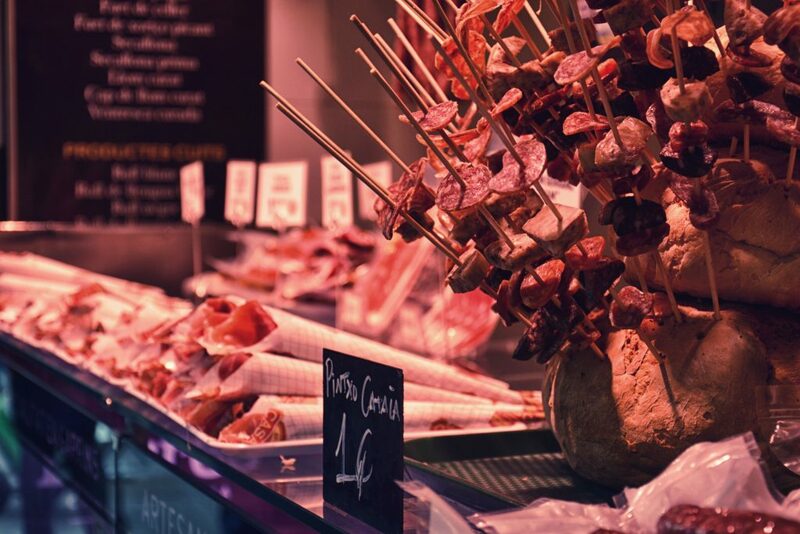 Situated near La Rambla is most likely one of the coolest we’ve ever been. 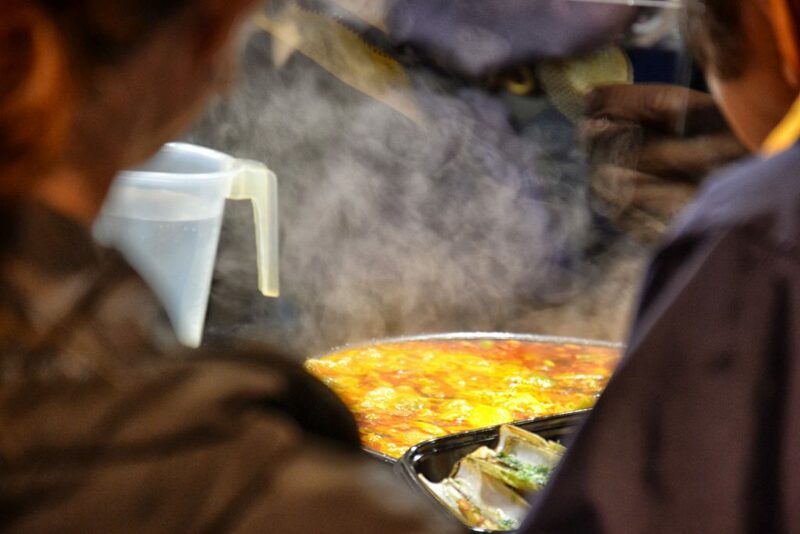 It not only focusing on wholesale but is home to many stalls which serve fresh food on the spot. La Boqueria offers vegetables, fresh fish and meat. 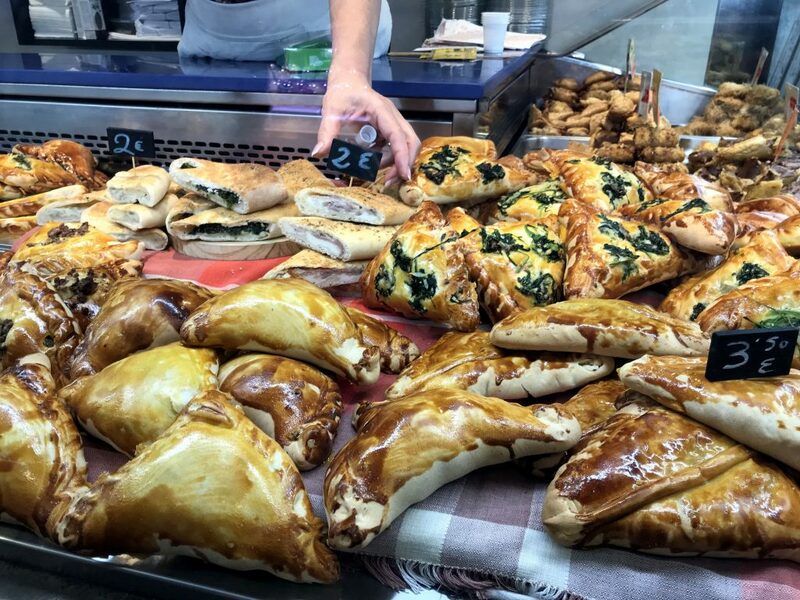 Herbs, cheese and ham, but be prepared to pay a bit more than in a small local shops located away from heart of the city’s heart. You can buy a lot of stuff vacuum packed as well which are always easier to bring home. Don’t hold back and make sure you arrive with empty stomach! 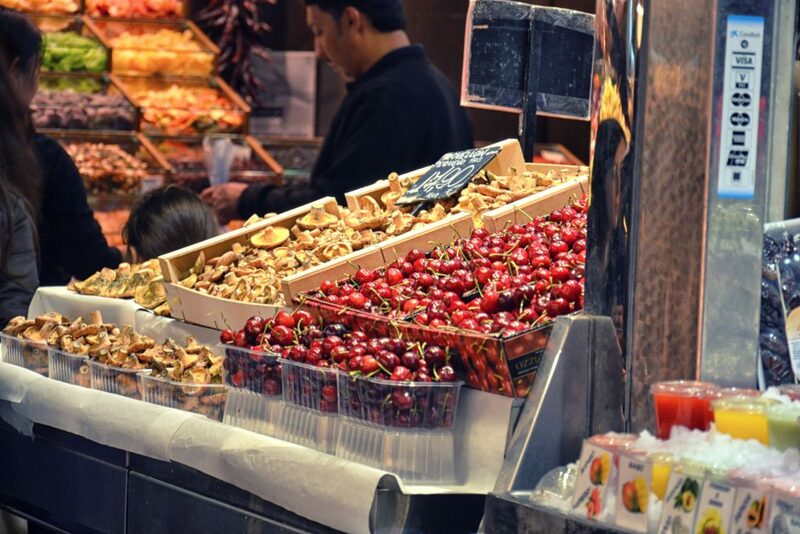 Plenitude of different stalls can give you a headache! Firstly we walked the whole market around. 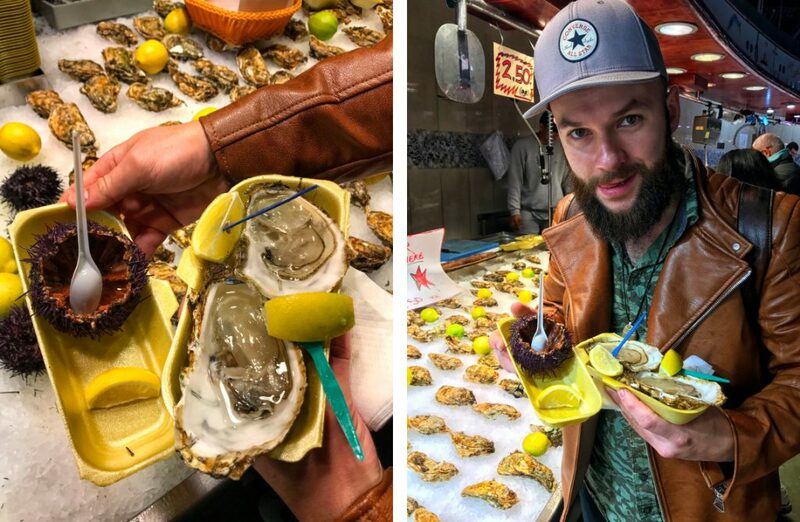 Then we focused on fish and seafood stalls where we had gigantic oysters and sea urchin. We paid €2.50 for oyster and €3.90 for sea urchin. 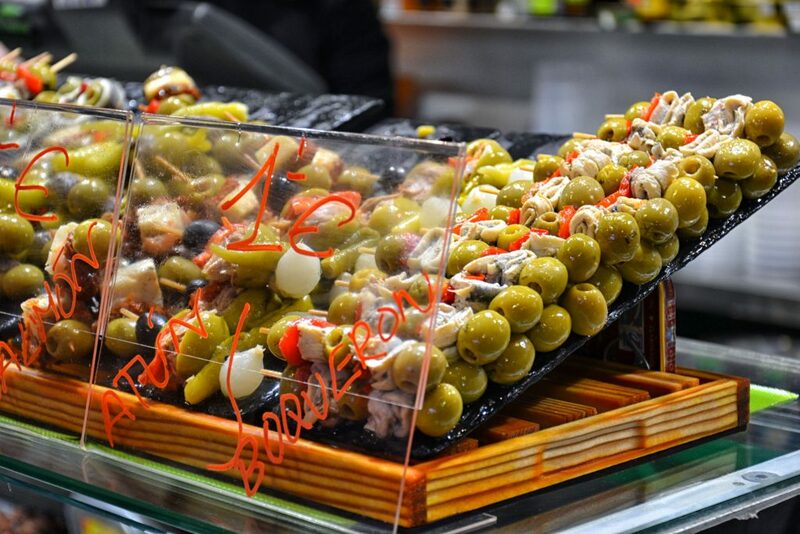 Next we tried Olives Francesc where on top of groceries you can buy pintxos sold on toothpicks. Price for one pintxos is €1-1.50. 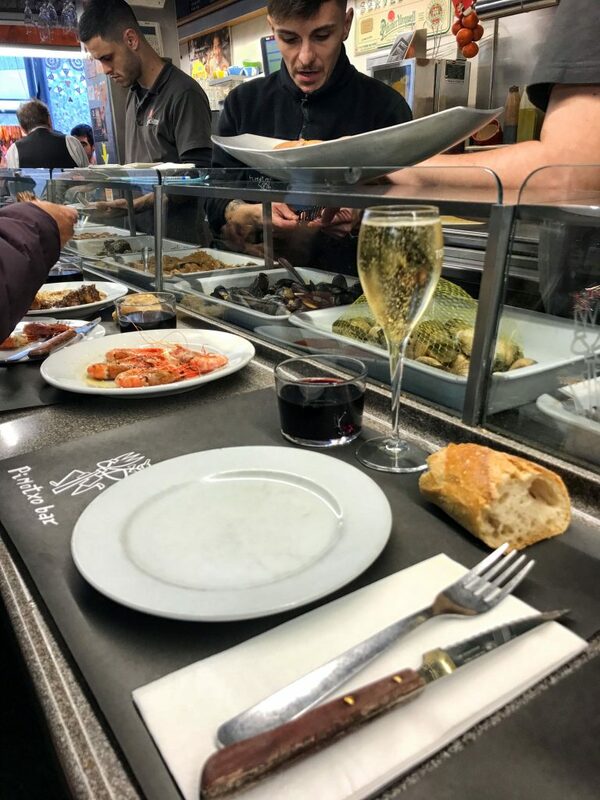 For main course we choose recommended bar Pinoxto where we were hoping for cargols (catalan snails), but unfortunately were already sold out. There’s always a queue and a bit of a battle to get a seat by the counter but after short waiting we got ours. We ordered vongole, beef cheek stew and smoked marinated sardines. With that tasty red wine served in glass which you would rather associate with farmer’s lunch break in a village of central France (we really like table wine this way :)). Almost everything you order is prepared live in front of you, which is part of the show and definitely enrich the whole experience. Vendor told us to keep receipt which will open the toilet door for us for free. After few minutes of looking for this mythical toilet (everyone heard about no one really saw) we gave up and leave. 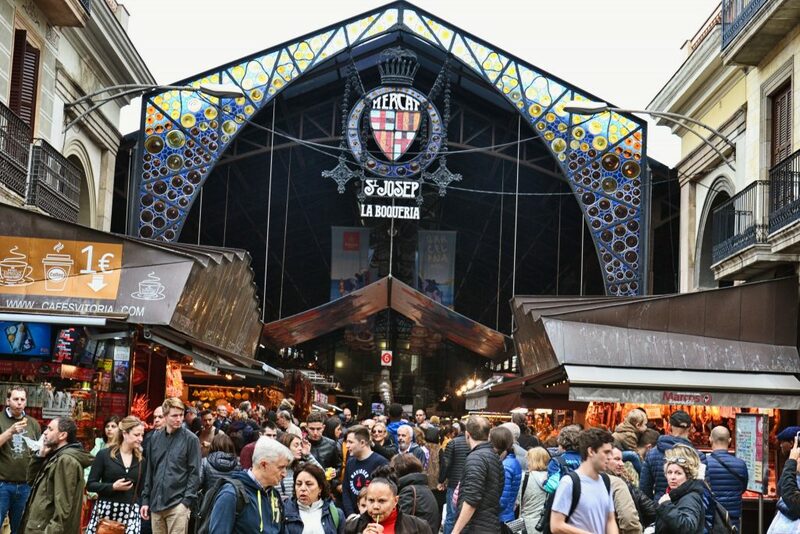 If La Boqueria seems to be too crowded and touristic for you there is many more to visit in Barcelona. 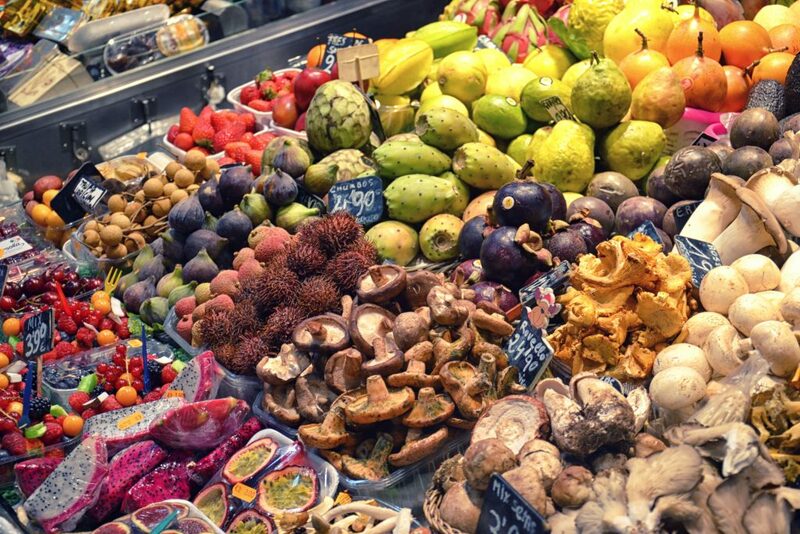 Next time we will definitely try another market as Boqueria was a feast of smells, colors and tastes.